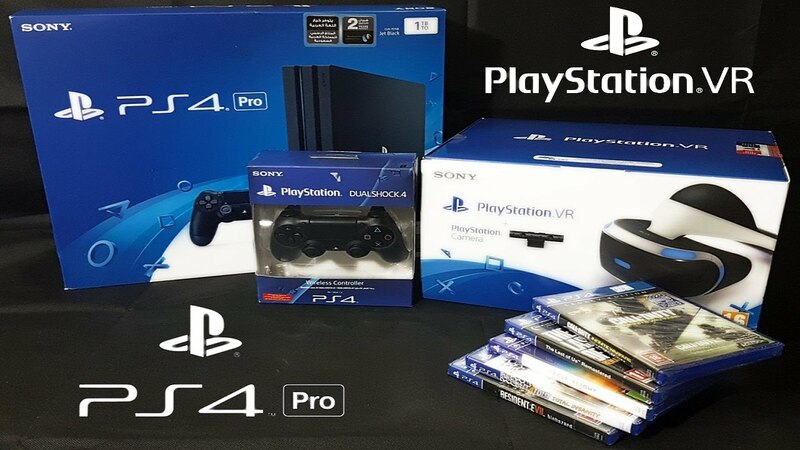 PS VR brings virtual reality to the PS4 and the PS4 Pro. 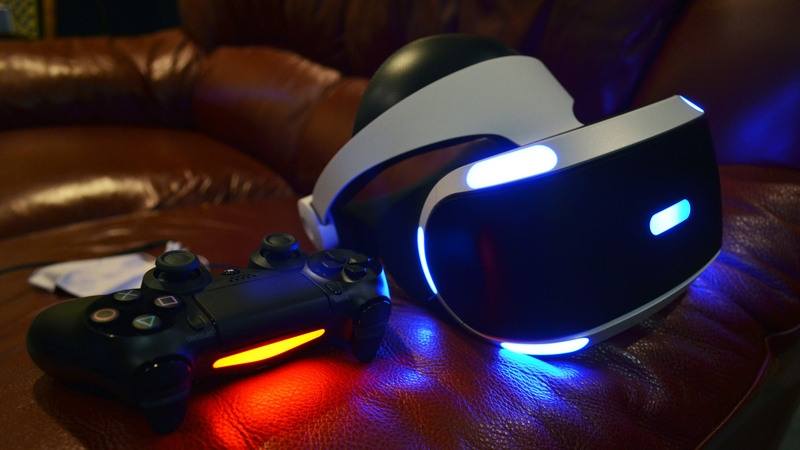 In our review, read about our experiences with the Sony VR goggles for the PlayStation. 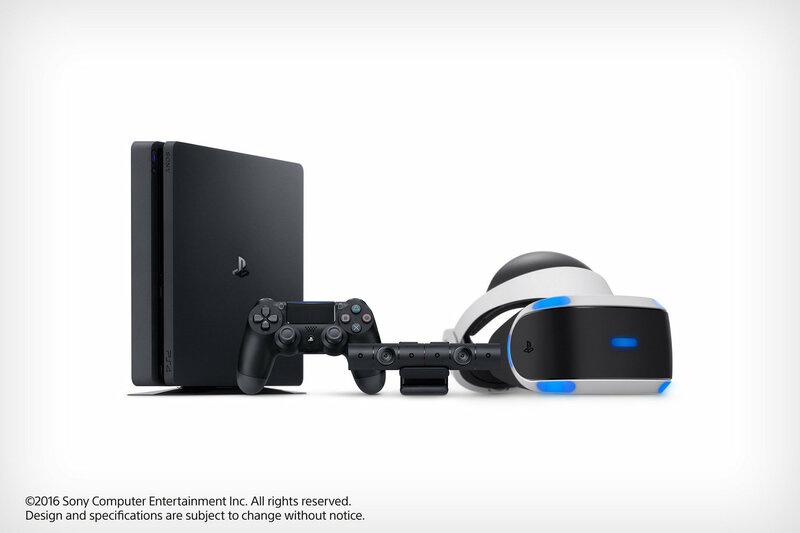 Explore virtual realities with the PS4 or the PS4 Pro and the new VR headset PlayStation VR (PS VR). 3D renderings and monitored and acquired in the game movements ensure a real game experience. Since games on computer monitors and game consoles connected televisions, the representation is in screen-oriented. The monitor itself offers a permanent display at a specific screen resolution, which is removable only in multi monitor operation. 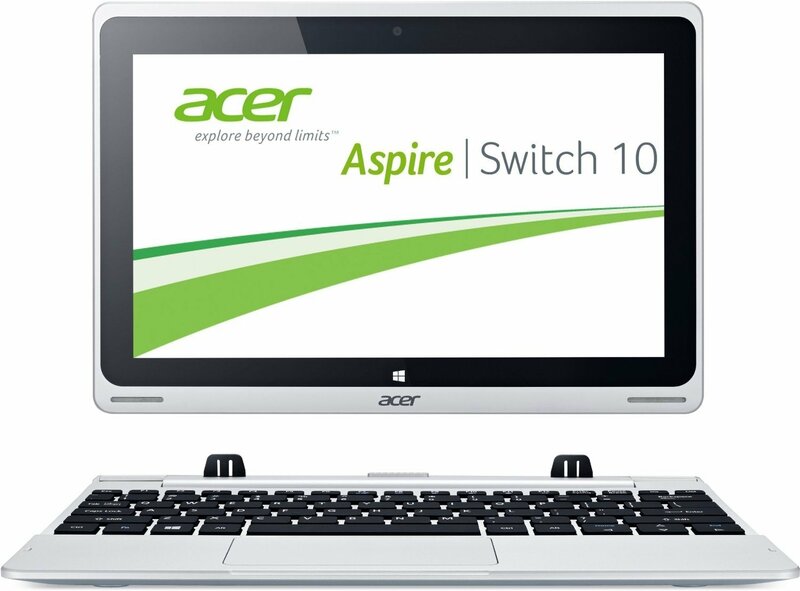 The only requirement: the machine has a powerful graphics card with multi monitor support. To deliver advanced game content, you must deploy the widened representation also by the games themselves. But also here the viewing area is still restricted. A visibility that adapts according to the respective views of the players, there’s no here in General. To remove these constraints, VR goggles are used. This headset offer, with a camera and is connected to a PC or a game console. 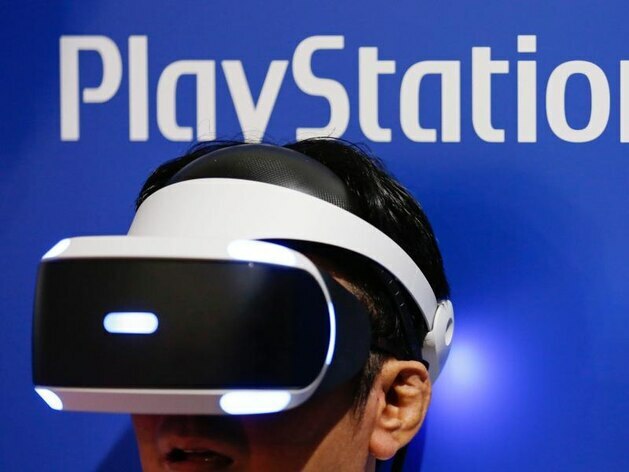 The VR headset for the PS4 has nine movement points, which are camera-based monitors and transferred to games. In the real world, what you see is depending on the chosen direction. This can be adjusted at any time using head movements. You look either left, right, up, down or backfire. This principle is applied by using a patch VR glasses. When the PS4 VR, a viewing angle of 100 degrees resulting in the selected direction. Since the appearance in glasses but on a not real but virtual game world is based, are sport – and position-dependent new to calculate all the representations and then graphically to spend. A fast picture sequence ensures a smooth flowing motion. The VR goggles of the PS4 works together with a PS4 camera. It does not matter whether you use the old or new model of camera. Although only the new camera as VR compatible is excellent, functionally both glasses are nevertheless identical. Only the design has been changed with the new glasses. 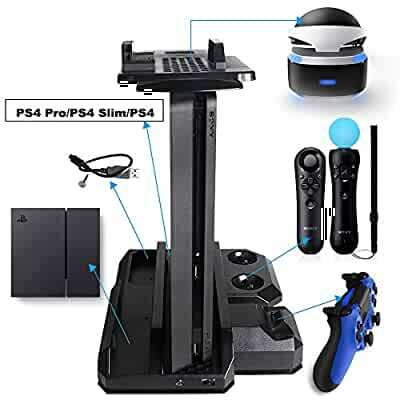 The camera transmits the movement monitoring of headset and move motion controller (optional) or standard controler to the PS4 and accompanied it to the special VR games. 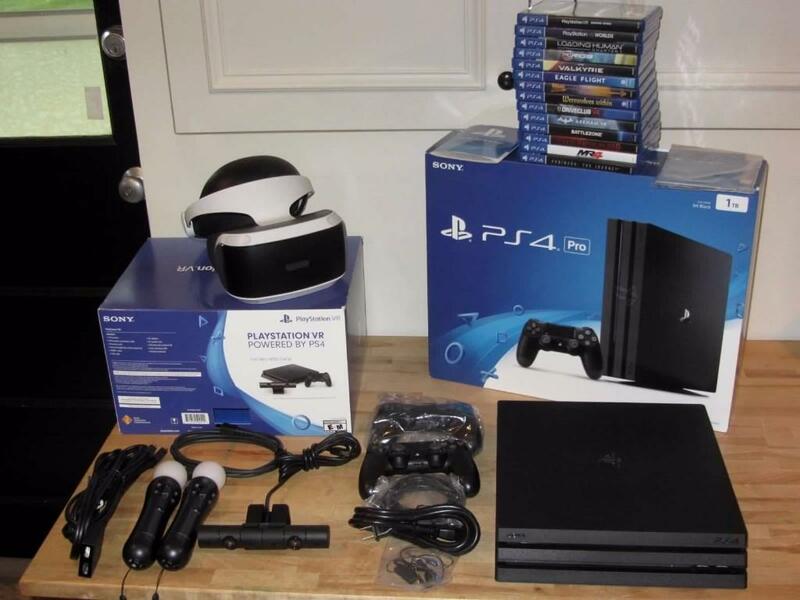 The PS4 is connected to a separate processor unit with the VR headset. 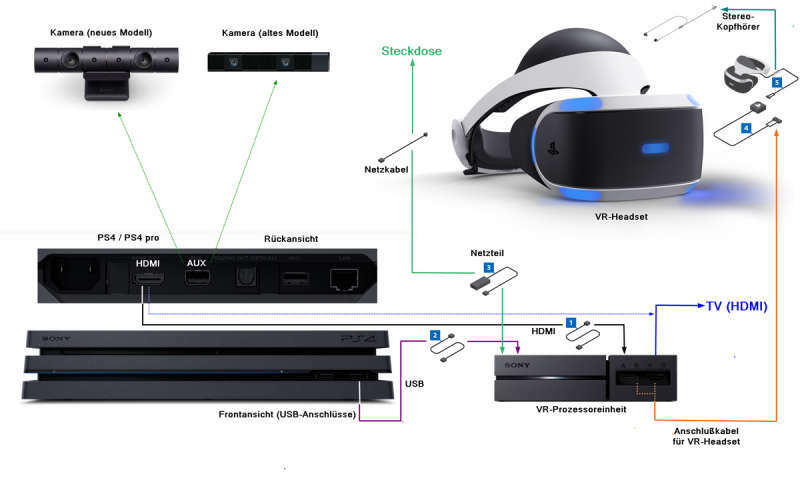 You enables parallel connection of VR headset and TV via HDMI interfaces, is responsible for the 3D-Audioberechnung and thus relieves the PS4. 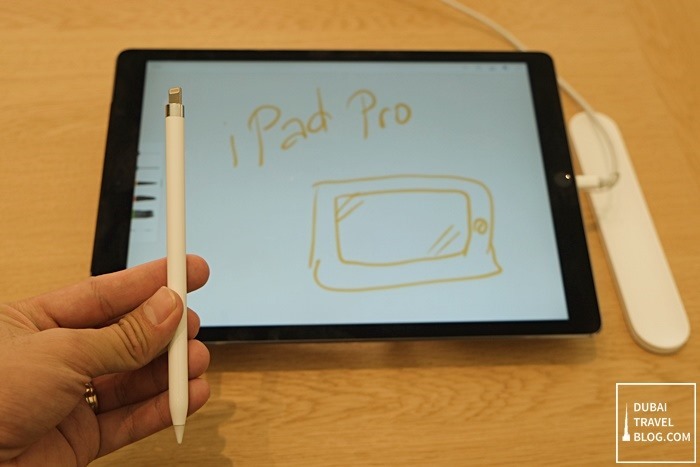 In addition, the processor unit acts as HDMI splitter, so that parallel editions of the glasses and the screen are possible. 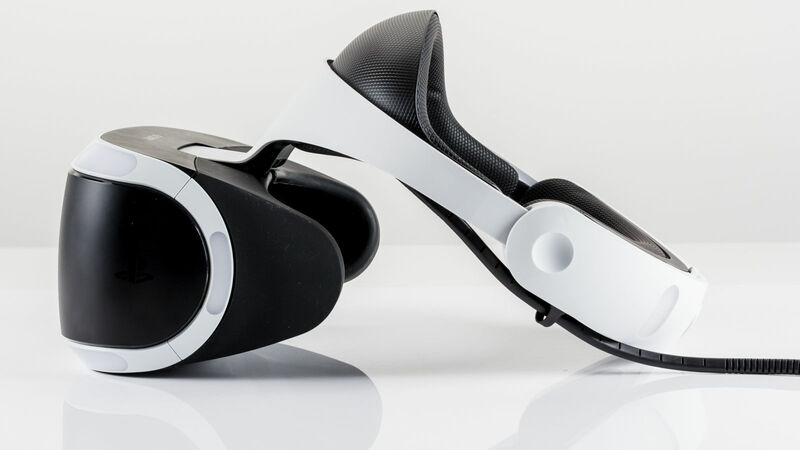 Many games try to include additional player across the screen, if a player uses the VR goggles. The issue also occurs on the TV when the VR glasses is turned off. The same applies if you disconnect the glasses by the processor unit. You can use the VR goggles not only for special VR games, but also for all other games and audiovisual reproductions. This turns the glasses in the so-called cinema mode. The renditions occur on a huge virtual screen in 2D mode. 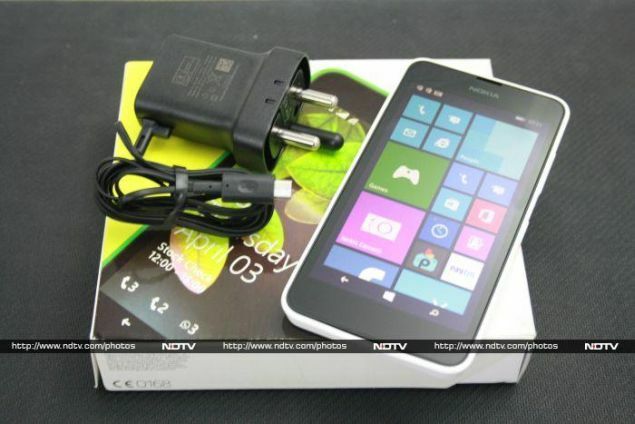 So you use the Board along with the headphones also so that other people on the TV of the conventional television or other feature films can play. 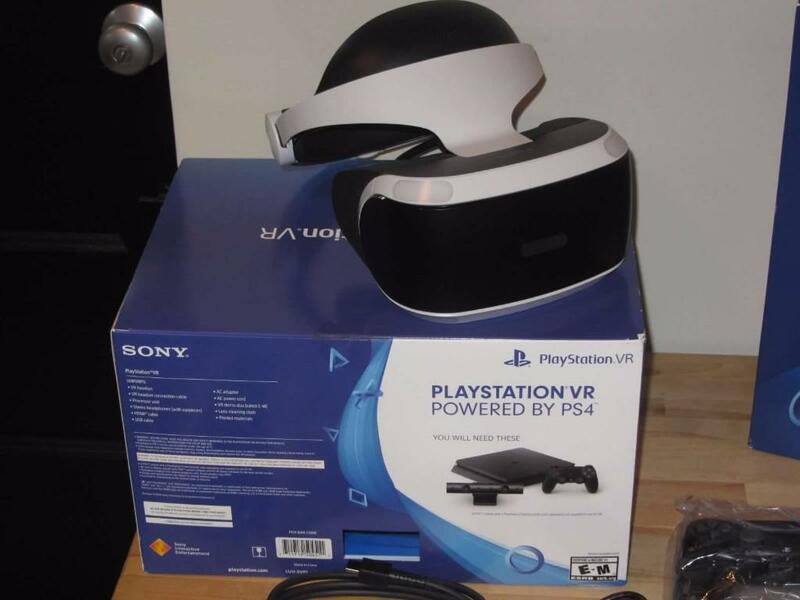 The camera of the PS4 is mandatory for the initial setup of the PS4 VR. The camera is then no longer needed for the later cinema mode. Just a corresponding test shows whether you can handle yourself with the VR glasses. Many people not get that they move themselves not like in the game. Move, for example, a person in a game per stick, are you normally sit or stand. Thus your and the movements in the game do not match. In some people, it comes sometimes to feelings of nausea or headaches, too. This reaction is also called motion sickness (also known as motion sickness). According to reports by affected it subsides but often if it repeated the VR experience. To prevent the problem of motion sickness, is recommended by experts, in the initial phase all 15 minutes to insert a break. 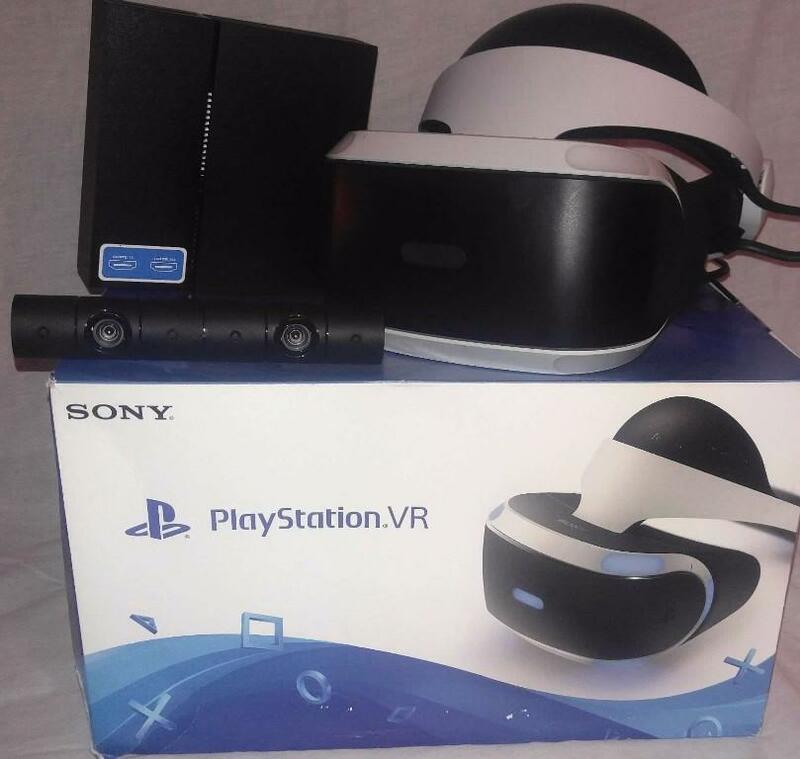 Otherwise, we recommend a minimum age of 12 years for the use of the PS4 VR. Before you insert the PS4 VR, you install them as shown in the graph of the lead shows. To switch off all devices. Then, check whether a camera on the PS4 is already connected. This is to acquire in each case separately and to combine with the PS4. 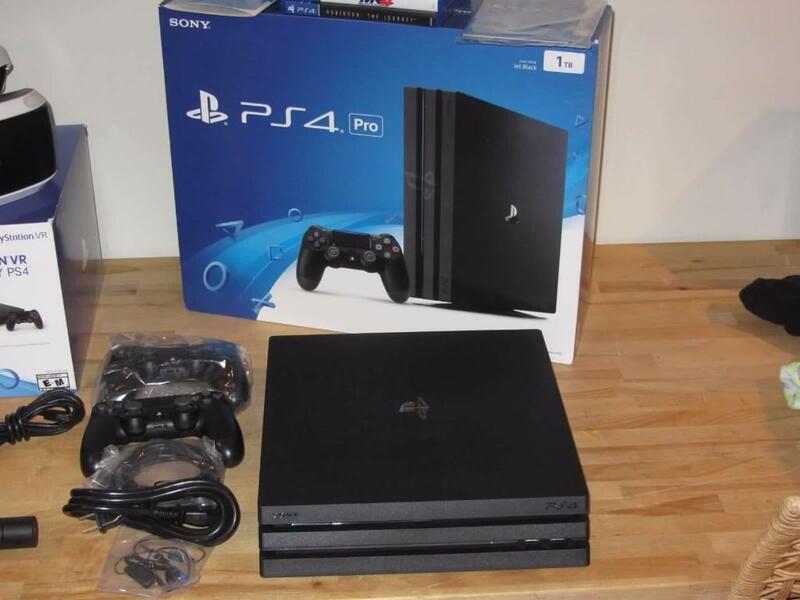 Have still no PS4, you must decide whether you want to purchase the PS4 or the more powerful PS4 pro. 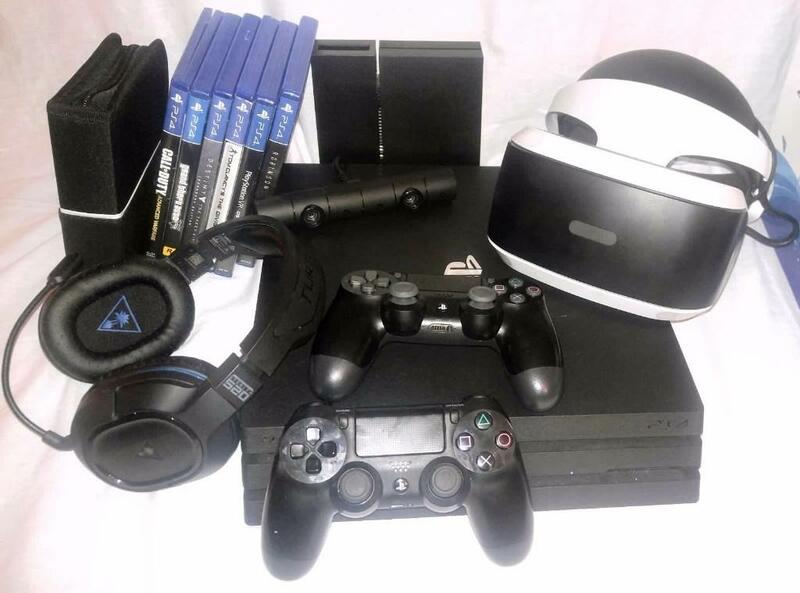 Both consoles are usable with the PS4 VR. Solve the HDMI cable connection to the PS4 with a decorated PS4 and connect it instead connected HDMI TV of the processor unit. All VR-specific cables are marked with continuous numbers. Produce the single cable connections gradually so as it is described in the lead story in graphics, and step-by-step procedures. All cable connections are made, you take the headset on your desired seat position. Align the camera to this seat position. Touches to the calibration be carried out during commissioning. 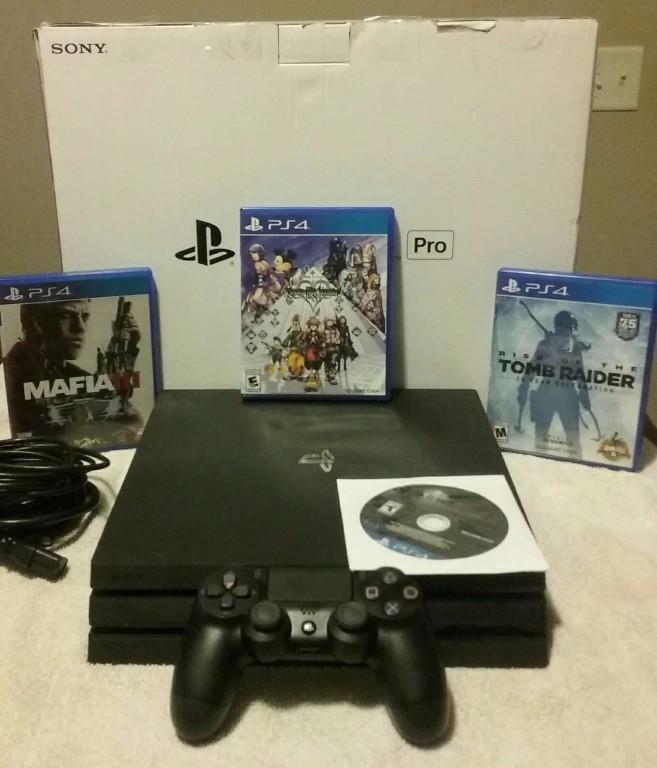 Turn on the TV, the PS4 and then the VR to. The VR has a separate control panel with four buttons on the headset cable. These allow switching on the glasses, the volume control and a mute. The glasses will turn blue at movement points as soon as it is switched on.Setting up the system detects the VR, shows on the screen. Fold down to fit the VR display a lock button and expand the scope for the head shot by pressing the head bracket opener and simultaneously pulling back of the headband. After putting, tighten the head strap holder with the knob and then close the display again. Before you even purchase VR games for PS4, the demo Blu-ray should test first the games. Here you will find six different game variations, such as an Autorennnen, a tank battle, a space battle, a puzzle game or even a 3D Tetris. Use these demos to see what games they like most and what games you are not suitable very easy. Many game demos demo Blu Ray are available through the store in commercial variants. Since VR games curb often less game than conventional games, prices are generally moderate. See more demos and free games already on the PlayStation Store. The game is a chapter for the resident evil 7 released in January, that supports the VR kitchen. It must defend themselves as hogtied victims against attackers and are thereby exposed to extreme shock effects. When the test run in any case, avoid hectic movements and close your eyes in case of need. 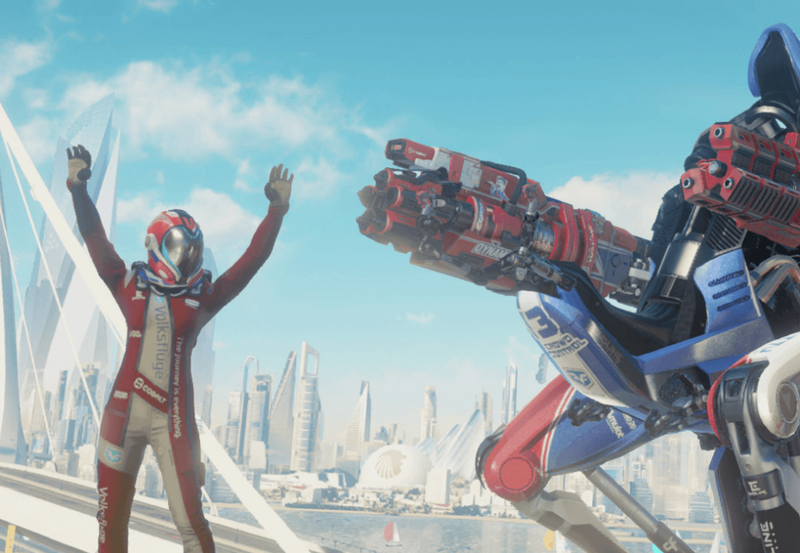 Call of duty – infinite Ware fare – Jackal assault VR experince, you get another free space adventure game, where you take on the role of a fighter pilot from the store. Own the game rise of Tomb Raider – 20 year celebration, play the additional chapter to the property of the Croft family (Croft Manor) optional in VR mode. This provides a transportation mode that teleports Lara Croft from position to position or a free mode, in which you freely move the pawn. The former mode is recommended for the first entry and prevents motion sickness. Many of the currently-existing VR games were tested for this article. See a selection of the best board games in the following composition. The games, which make complex worlds where you move freely and that explore environmental are impressive. Autorenn-, combat and adventure games have the nose here currently. However, emotionally the most effective Act horror games. It does not matter, in a creepy environment ride roller coaster (Until Dawn – blood of rush), must be tied victim (kitchen) or move into darker surroundings (here they lie). Who once made his first experiences with the Board of Directors, would like to experience games from now on only in a real environment. Take part not only in car races or battles, as if you were really present an adventure, and almost realistic horror effects. Currently, however still no heart attacks are known, which can be attributed to VR horror games.The graphics performance is already impressive, even if the entire resolution on HD is limited. In the next generation of game consoles and VR glasses, graphics performance and resolution of VR headsets will be further expanded. And the games will grow in the range of functions.